Let's compare the first paragraph from the given PDF. How could you mess up this bad? Did someone sabotage your product? I can only confirm. 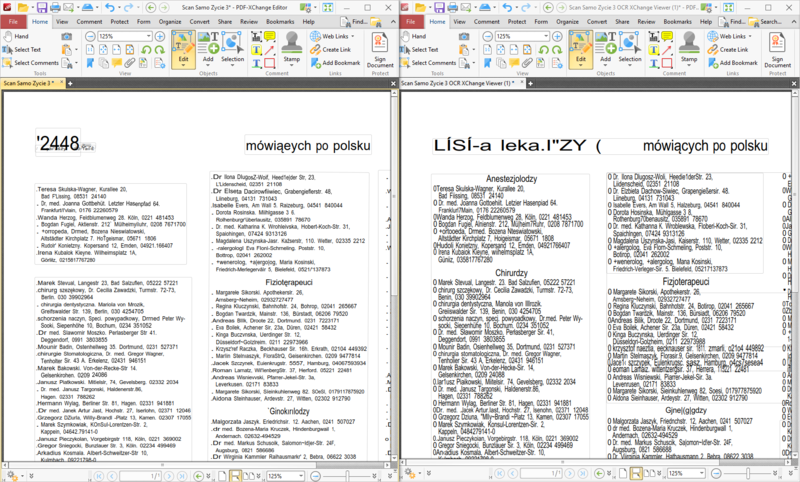 It is going indeed from bad to worse with OCR in PDF-XChange Editor 7.0.325. I also wonder what has happened ? We are indeed working on this, you may have noticed the new "Enhance scanned pages" option on the Convert Tab. I do still see some text missing, so i know this is in no way perfect, but i do also see that some of the text is improved over the viewer. As mentioned before we are working on this, and will be continuing to make further iterations to it in the future. Also note that i too received nothing but numbers, as in the original post, when i have english selected as the language for OCR instead of Czech. Note that I also manually removed the image from the background of both of these, and set the text color to Black so we could see the direct comparison within the PDF itself. 1) The result is indeed acceptable via the new feature "Enhance Scanned Pages". 2) Maybe the removal of the original scanned-image and turning the recognized text into black, could be considered as an additional feature. 3) From the few OCR-tests I ran (with the new release 325 of the Editor) I experienced several exits of the application without any warning or message. 2 - I'll gladly pass this request on, i think its a great idea! Thank you, @TrackerSupp-Daniel and @Willy van Nuffel for your quick responses! We have verified that optimizing scanned PDFs does indeed lead to better OCR results. Thus we have decided to obtain PDF-XChange-Editor for our office.
. Dr, med. Joanna Gottbehüt. 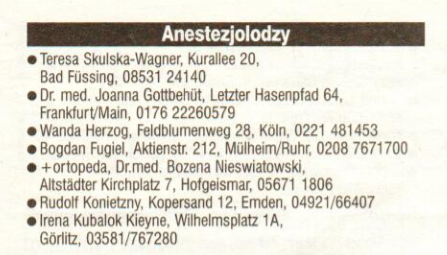 Letzter Hasenptad 64. This is acceptable because the numbers turned out right, mostly, and the rest would be looked over by the guys processing the scans. 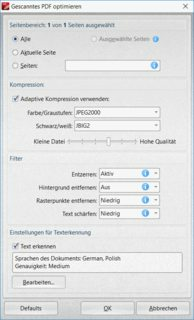 Also we are really happy about the excellent PDF export options that your tool provides. We did notice an annoyance tho, that aborting the PDF optimization is impossible (it continues anyway, wasting time and power). I was going to report this to the Devs, but am unable to reproduce this issue, Could you tell me more about the settings you have in place for the process? Not sure why you cannot reproduce this bug (too good PC, not doing the right order of steps, ...). What I see in your video there seems to simply be the OCR function "undo"ing itself. It may take longer depending on your system specs, however it should close itself (and undo the process) if left for a moment. Thanks for the video a couple posts above! I am also unable to reproduce the issue - so could it be that e.g. there was some swapping that occurred at the time that could explain the slow down? We would definitely want to investigate this and find out why it happens, but for me canceling the "Enhance" operation is also almost immediate as for Daniel. My machine has a good CPU - but the SSD with the OS on it is 6-7 years old now and it is definitely not the snappiest one.